The three-dimensional flow around a sphere is one of the most classical subjects of investigation for fundamental analysis of external aerodynamics. In fact this flow configuration, which is described by a very simple geometrical shape, exhibits the potential for complex multi-physics analysis. Some aspects that can be investigated include turbulence, acoustics and heat transfer, and this test case is particularly favorable for the analysis of coupled problems. In addition, the emergence of a number of different regimes is observed for moderate Reynolds number, which are extremely sensitive to the Mach number Ma investigated. Furthermore, multiple physical systems can be modeled by multi-spherical bodies in motion involving complex interactions. 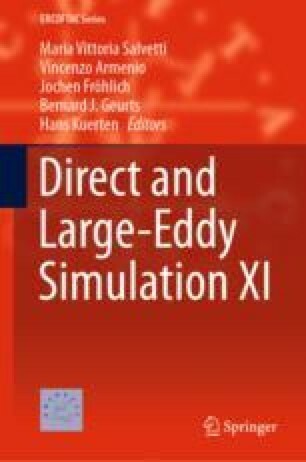 Owing to this large number of aspects which are relevant for industrial applications, this case represents an important benchmark for validation of new numerical/modeling strategies. This research work has been developed using computational resources in the framework of the project DARI-GENCI A0012A07590.